Richard Feynman was an American theoretical physicist. He was born on May 11, 1918 in New York, United States. He was awarded the Nobel Prize for his work in quantum electrodynamics in 1965. 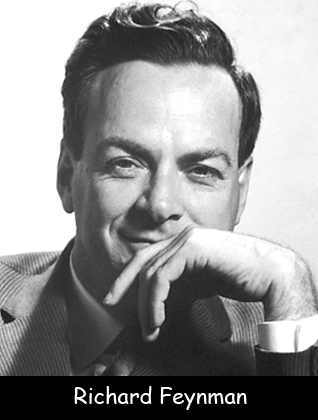 Feynman also received the Albert Einstein Award in 1954 and the Niels Bohr International Gold Medal in 1973. He is best known for his contribution in the field by creating a new quantum electrodynamics by introducing Feynman diagrams. He wrote many theoretical books in physics. Feynman got his bachelor’s degree in 1939 from the Massachusetts Institute of Technology. He also worked as a junior physicist under Hans Bethe’s theoretical division. He earned his doctoral degree in 1942 from Princeton University where he worked as a research assistant. He served as an associate professor of Theoretical Physics at Cornell University from 1945 to 1950. He also joined the Manhattan Project which was a secret US army project to develop atomic bomb. Richard Feynman got married to Gweneth Howarth. They had two kids, Carl Richard and Michelle Catherine. In 1965, he was elected as a foreign member of the English Royal Society, London. In October 1979, he was diagnosed with Myxoid liposarcoma. It is a rare cancer that affects the soft tissues of the body. Feynman died on February 19, 1988. He was 69 years old at that time.